Cream Cheese Pound Cake Recipe – a true Southern dessert classic that never goes out of style. Passed down from generation to the generation, this pound cake recipe will always be a hit! You know a recipe is guaranteed to be great when it’s ingredients include what seems to be a pound of butter. Yes, each ingredient is vital in its own way, but butter is what makes the mouth water and the world go ‘round. I mean, who doesn’t love a cake that is first and foremost all about creamy, lick your lips butter. I’ll be the first to raise my hand and say, I do. WHY DO THEY CALL IT A POUND CAKE? 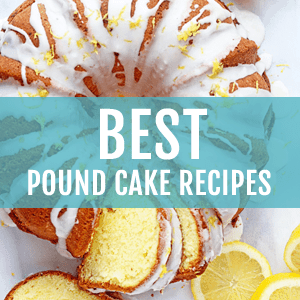 Now, the name “pound cake” derived from the original recipes that contained one pound of every one of its ingredients: sugar, flour, butter and eggs. In the days when many people couldn’t read, this made it simple to memorize the recipe. I’m sure you can imagine that a cake with four pounds of ingredients makes for one hefty cake. The product made the cake big enough to feed the entire neighborhood and on many occasions, it did. As time has gone on, the proportions of the recipe were adjusted to make a smaller, lighter cake. But let’s not kid ourselves, we’ve kept it just big enough that even if you have to share, there’s always leftover for late-night binges. Pound cake originated in Europe in the early 18th century; since then it’s traveled far and wide, becoming one of the most popular cake variations around the world. But there’s nowhere in the world that makes them better than in the South. The first known cookbook written by an African-American, Abby Fisher, is called What Mrs. Fisher Knows About Old Southern Cooking. Mrs. Fisher, born a slave, somehow found her way to San Francisco soon after the Civil War and created a life and a small business. Mrs. Fisher could not read or write. 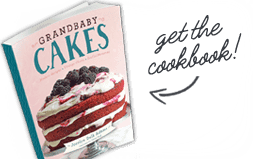 With the help of her friends she was able to write and publish her cookbook that included two different Pound Cake Recipes. Mrs. Fisher’s recipes stayed true to her Southern roots and helped to create the outline for more recipes to come. Today, Pound Cakes have become a staple for bakers all across the South. They’re easy to make, incredibly delicious and perfect to share with people you love or even strangers you want to impress. There are some recipes so entrenched in your spirit that they almost become part of the family, kinda like a distant cousin. You know them inside and out, and no cookbook is necessary to execute their greatness. Making these recipes is as natural as walking. These are the types of recipes that the women in my family have been making for decades. They are completely worn in, and every single time I make them, they seem to get better and better. For my family, it is definitely the pound cakes that fit snugly into this category. We can mix them together in mere moments but they always taste as though several hours were spent creating them. It is one of our super powers. I first learned how to make these passed down cake recipes from my Big Mama when I was a young girl. She’d watch me patiently as I sifted large bowls of flour and paused frequently to sneak tastes of the delicious batter. We chatted about my school day or she’d tell me stories to make me laugh until my belly hurt. There is a certain care and meticulous nature in the baking process that Big Mama takes pride in. 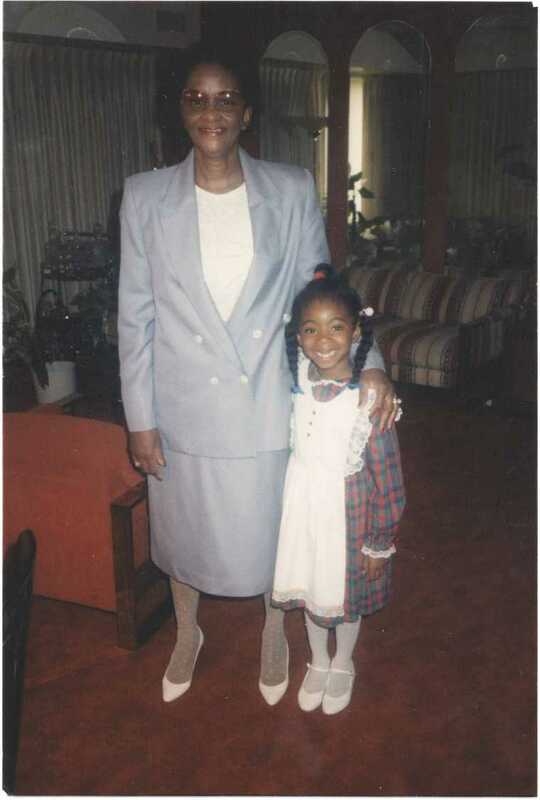 She truly passed that pride on to me. I wasn’t just learning to bake; I was learning about my family’s deep rooted traditions and the fabric of our heritage. These are the same traditions I hope to pass on to my daughter and to the grandchildren I’ll welcome into my kitchen. WHAT IS A CREAM CHEESE POUND CAKE RECIPE? When I first learned how to bake this Cream Cheese Pound Cake recipe, I felt so accomplished. You see, a slice of this cake is more than just dessert to my family; it is a gesture of love and history. During Black History Month, I am more aware than ever of how the crucial traditions of my family’s past shaped my present and future. Women like Abby Fisher, who survived slavery and still continued on to start a business, remind me of the strong women in my family that came before me. Because of their hard work and sacrifices I’m able to create new traditions while passing on the ones I hold dear to my heart. Now don’t get me wrong, the flavor of this cake is simply irresistible. It is buttery and simultaneously dense and light in a way that doesn’t seem possible. It is the oxymoron of cakes with a texture that’s indescribable. Don’t be put off by the idea of cream cheese either; it does not add an unappealing cheese flavor. Instead, the cream cheese creates a smooth texture and a slight tang that’ll have you smacking your lips. With any pound cake, texture is key to creating the perfect taste. To create the best texture, begin by making sure that your cake batter is mixed well. You must beat your fat to incorporate air into your cake because it doesn’t have a leavening. Most will skip the importance of the “creaming” process which is mixing the fat and sugar together. Another tip is making sure that you do not over mix once you add your flour to this cake. Because flour has gluten, if you over mix it, the texture will change. As soon as your flour is incorporated into the batter, stop mixing. Also remember to slow down your mixer. This is also important. When you bite into this Cream Cheese Pound Cake recipe, every flavor is ignited and each ingredient, while coming together as a whole choir, really sings its own note. With each bite, I’m also reminded of the beauty of this recipe and how far it came before making it into my kitchen. Every time I bake it, I also remember to infuse it with the most important ingredient, love. Cream Cheese Pound Cake Recipe - a true Southern dessert classic that never goes out of style. Passed down from generation to the generation, this pound cake recipe will always be a hit! Start by preheating your oven to 325°F then liberally spray a 12-cup bundt pan with non-stick baking spray. 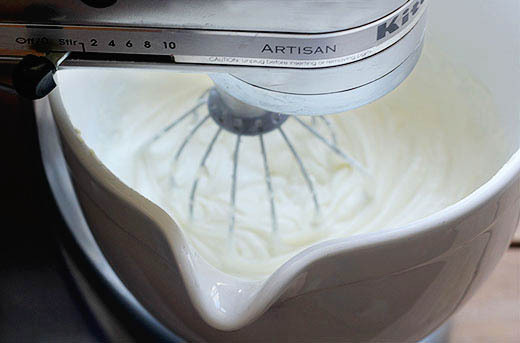 In your mixer bowl, add butter, oil or shortening, and cream cheese and beat for 2 minutes on high speed. Slowly add in sugar beat on high speed for an additional seven minutes until very pale yellow and fluffy. Next, add eggs, one at a time, combining well after each addition and scraping down the sides as needed. Turn your mixer down to its lowest speed, and slowly add flour into batter in two increments then add salt. Be careful not to overbeat. Lastly, add in vanilla extract, scrape down sides and mix until just combined and turn off mixer. Pour cake batter into prepared bundt pan, and bake for 1 hour and 15 -20 minutes or until a toothpick inserted in the center of the cake comes out clean. Cool in pan on a wire rack for 10 minutes, then invert cake on serving plate for at least an hour or until the cake is cool to the touch. Dust with powdered sugar and serve. With any pound cake, texture is key to creating the perfect taste. To create the best texture, begin by making sure that your cake batter is mixed well. You must beat your fat to incorporate air into your cake because it doesn't have a leavening. Most will skip the importance of the "creaming" process which is mixing the fat and sugar together. Another tip is making sure that you do not overmix once you add your flour to this cake. Because flour has gluten, if you overmix it, the texture will change. As soon as your flour is incorporated into the batter, stop mixing. Also remember to slow down your mixer. This is also important. 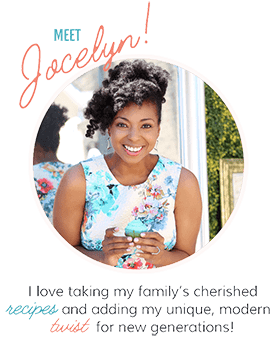 Hi Jocelyn, what type of oil should i use in the pound cake . I have vegetable oil is that ok.
You just don’t know how long I’ve been looking for this recipe! I live in Scotland and there’s NO recipe for any pound cake. My mom sent me a 12 cup bundt pan a while back. Now I get to use it. I am also looking for a pecan pound cake. Can you help? Also, my mom says to put the pound cake in a COLD oven. I question this. What do you recommend? Thank you for being so kind, sharing your many recipes. I know they are going to be delicious! For this cake, I would bake as is. No need to put it in a cold oven though there are some recipes that bake amazingly well that way too! Your cream cheese pound cake is awesome. It’s light and moist and delicious. Very simple recipe to use and follow. It’s the 1st pound cake I’ve ever baked and will bake again. Thank you for your recipes. I made this cake for friends at church yesterday. They absolutely loved it! I loved it! I finally found my go to pound cake recipe. Hooray that makes me so happy! So glad you enjoyed. This is a lot like my grandma’s recipe. I couldn’t find her original recipe, due to a house fire. I am so thankful to have found this recipe! I’m just now putting it in the oven. My grandma took so much time and care into her cooking and baking. This sure is a great recipe, and easy to follow. I hope the cake tastes as good as the batter! Lol Thank you for sharing your recipe. Fantastic!!! I am so glad you think it is like your grandma’s. Joceyln – This is the best cream cheese pound cake I have ever made! I’ve made alot of pound cakes using different recipes, but this one is by far THE BEST!! SO MOIST AND DELICIOUS! My grandson wanted a pound cake for his birthday (7 yrs old), and he told me this was the best he had ever eaten. 🙂 Thank you so much for sharing this recipe and also for your wonderful story! Such a blessing!! You’ve warmed my heart and made my day. What a lovely tribute to family and traditions. I will definitely be back to try your recipes. I just made this pound cake for my mom. Here in Mexico we celebrated Mother’s Day every May 10th. She loves everything orange, so I added 1 tbsp of orange zest and 1/4 cup of whisky (just for a kick). I have to tell you… it was amazing! Thank you for such a great recipe and beautifil story! Wow that sounds absolutely incredible. I will try that one time. Thanks for the sweet compliment. I have been missing my Granny and when she made a pound cake, everyone showed up and the chatter around her dining room table was so warming. I am going to make this cake tomorrow and invite the family over. She never taught me this particular recipe. Thank you for sharing!!!! Awww my pleasure!!! Let me know how it turned out! Wow – I happen to have everything to bake this cake today! What a wonderful heirloom recipe. Those are the recipes that we cherish and thank you for sharing with us. I hope you enjoyed the recipe!!!! Oh my word. So good. This is a great recipe. Eating some for breakfast now! I added a vanilla glaze, but it doesn’t need it at all! Your cream cheese pound cake is so good I wonder why you ever published it! Ha! Had to be very hard to share that gem! Amazing—I thank you! Hahaha well there is a version of it in my cookbook so I figured it was time to give everything a piece here on my website. Anniversary Pan. I used my 6-cup Bundt for the additional batter. Pound cake is my husband’s favorite dessert. I’ve never made one with cream cheese. I know he would love this version. It is perfect. He would love it. I love how you have such strong family ties and traditions. This pound cake is gorgeous and I would be honored to be served a slice made by you! Thank you so so much! Family means the world to me! 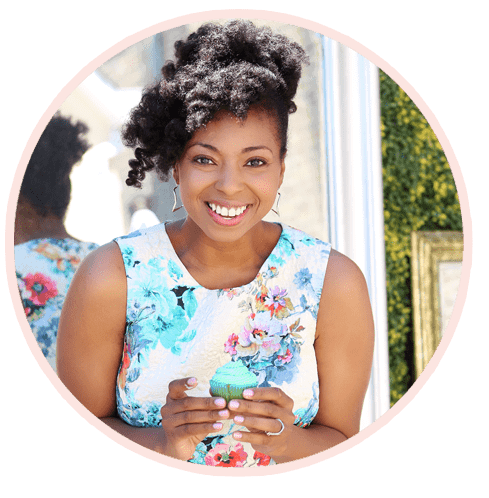 These are my most treasured recipes as well – love the story! This is one beautiful cake Jocelyn and your photos are over the top! Awww thank you so much doll! This Cake looks like perfection! I can’t wait to try it! This is so beautiful! & The cake was delicious!!!!! Love this recipe! I have a question : the flour cake comes with baking powder or this recipe does not need the baking powder? The recipe doesn’t need any baking powder. It will rise! Hi Jocelyn!!! How delicious! Simply one of my hubby fave cakes who grew up in the south of this country. Love your food creations, gal! Awww thank you so so much!! Beautiful, sweet, and so yummy. I’m in. Thank you and have a pleasant day ! I only have a handheld mixer, how do I adjust? You can use it in the place of the stand mixer. No adjustments needed. My family loves my Moms family mayonnaise cake recipe which is mostly chocolate, this recipe for cream cheese pound cake sounds and looks delicious, I think your recipe for this cake is on its way to become our summer favorite to serve with strawberries and cream, thank you for sharing a piece of your family love. Yes it is absolutely fantastic with berries and cream! A delightful post (so enjoyable to read!) and one delicious looking cake – love it!! Let it SNOOOOOWWWW! Confectioners’ sugar, that is. What a beautiful story and recipe, J! 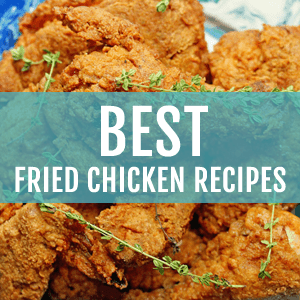 Love your family history behind this recipe, as well as the great pictures. I can’t wait to make this. One question…have you ever made this with a mini bundt cake pan? I have one, but I’m not sore how to adjust the time. Thank you so much. I haven’t however yes you can totally adjust it and probably watch it like you would cupcakes, starting to check doneness around 15-20 minutes. Can this work in an angel food cake tube pan? Yes definitely give it a try! Is it ok to use the convection feature on my electric oven for this cake or is it better not to use the convection feature? I would not use the convection feature for this cake. no baking powder or baking soda? Nope, no need. Give it a try. Looks great plan to bake for a family occasion since we are in a low carb diet at this time! Yes this is perfect for a holiday! I can hardly wait to try this pound cake. I don’t think that I have seen the Simple Truth brand where I live but then I didn’t know to look for it. I make your ultimate lemon pound cake and everyone loves it. Keep up the good work. I love the recipes and the family stories. Thank you so much Jo Ann! What a lovely story about your family’s traditions. This cake looks like one of those classics that couldn’t be resisted! I love your family history with pound cakes! Doesn’t it just make them that much better when it’s something that reminds you of family! This pound cake looks perfect! Thank you so so much It totally does make it better. I don’t have cake flour, can I substitued for regular flour? Actually you can make your own cake flour by taking all purpose flour, removing 2 tablespoons of flour and replacing with cornstarch then sift about 6 times and use. Gorgeous and I cannot wait to try it!! My goodness. This pound cake is just PERFECTION. Loving this goodness so much! What a pretty cake, and presentation! That is absolutely stunning…I mean it’s so beautiful. Wow thank you Cathy so much! Oh! What a beautiful cake that sounds just amazing! Love that pix of little you, and love the family bond in this treat! Yes, I love this so much! My dad is from Hawaii, so that side is deeply rooted in stir fry marinades, curries, and meals featuring Portuguese sausages. On my mom’s side… not so much. I wish I had family recipes passed down to me. This cake looks amazing, and all that more so knowing the family history behind it. So looking forward to making it! Love this recipe too! Everything is perfect is suitable for me. Love this. The post, story, recipe.. Every ounce of it is perfect. Thank you so so much Annie! Absolutely beautiful, from the story to the photos. I think every Southern cook worth his/her salt has a family pound cake recipe in the archives somewhere. Thank you so so much! This comment warmed my soul.